You're in Luck... I will be doing one last holiday show and it's for 2 weekends in a row so feel free to procrastinate. Of course the best selection goes to those of you who don't. Kristin Fitzgerrell, who does mixed media wall art has put together the most charming little shop in the Holiday Neighborhood in Boulder. Seriously, there are many local artisans who are showing their work and this is COOL stuff. One of a kind wall lamps, English Retreads purses and bags, jewelry, even sweet furniture. 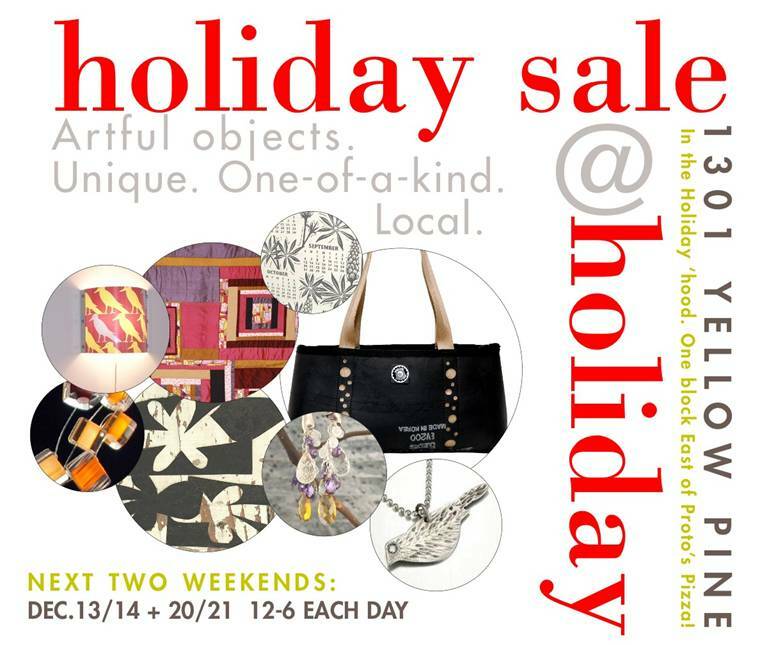 Come on up and do your holiday shopping, save money by buying directly from the artist and support local business and our economy. Phew- I think I said it all.